In his recent hour-long White House interview with Jeffrey Goldberg, President Obama once more unleashed a biased, dishonest attack on Israel and Prime Minister Netanyahu. Goldberg, like all too many high-profile writers and commentators, gave the president a pass on his anti-Israel riff and even seconded it. A striking contrast, demonstrating incisive, reality-based coverage of Obama’s anti-Israel slant and its inevitable negative consequences, has been provided over the past five years by the Washington Post’s Jackson Diehl. Goldberg’s interview received wide attention for the president’s warnings to Netanyahu that he must quickly reach a peace agreement with the Palestinians or Israel could face dire consequences from a world impatient with the Jewish state’s supposed foot-dragging in ending the Israeli-Palestinian conflict. Of Palestinian President Mahmoud Abbas, now in the tenth year of a four-year term, the president had only positive things to say, including definitively characterizing him as ready for a peace deal. The Goldberg interview, broadcast on Bloomberg News, was wide-ranging, touching extensively on Iran and Syria as well as Israel, and Goldberg has been praised by some for his handling of the hour. Elliot Abrams, on The Weekly Standard website, wrote: “… kudos to Goldberg; he pressed Obama repeatedly, challenging vague formulations and seeking clarity. Goldberg pushed Obama hard, especially on Iran and Syria. But on Israel Goldberg pushed Obama not at all, even when the president made assertions untethered from reality. Abbas has said that he would never recognize Israel as a Jewish state, a recognition that Obama has himself acknowledged is necessary for any meaningful peace. Abbas has said he will not give up the so-called “right of return” of Palestinian refugees and their descendants to Israel, a formula for the dissolution of the Jewish state. He has denied any Jewish connection to the land and insisted the Jews are mere colonial interlopers whose state is illegitimate. He has praised murderers of Israeli civilians as heroes who should be emulated and has overseen the naming of schools, sports teams, and other public entities in their honor. He has presided over an education system that teaches all of “Palestine” – meaning the West Bank, Gaza and Israel – properly belongs to the Palestinians and that Palestinian children must dedicate themselves to liberating it from the Jews and eradicating the Jewish state. In contrast to Goldberg’s meekly echoing the president’s distortions, Washington Post editor and columnist Jackson Diehl has repeatedly offered clear-eyed assessments of Obama’s anti-Israel bias and misguided views on the path to peace. 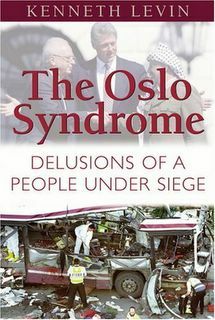 In May, 2009, in an op-ed entitled “Abbas’s Waiting Game,” Diehl observed, “[President Obama] has revived a long-dormant Palestinian fantasy: that the United States will simply force Israel to make critical concessions, whether or not its democratic government agrees, while Arabs passively watch and applaud.” To Diehl, the president’s tack was obviously wrong-headed and counter-productive. At the time, the Obama administration was already focusing on a settlement freeze as the key to moving the peace process forward. In subsequent weeks, the administration ratcheted up this demand, and defined the insisted upon “freeze” in all-inclusive terms that were unprecedented either for any American administration or in the context of any previous Israeli-Arab or Israeli-Palestinian agreements. In addition, Obama did so without mention of need for a single concession on the part of the Palestinians. Once again Diehl was direct and clear, in an article written a month after the previous piece and entitled “End the Spat with Israel.” Diehl points out how unprecedented the demands regarding settlements were, and how unnecessary given previously agreed upon limitations to settlement growth, limitations to which the Israelis were adhering. He also notes concessions Netanyahu had made in recent weeks, including for the first time agreeing to Palestinian statehood. He reiterates that Obama’s stance was allowing the Palestinians, and the Arabs more broadly, to avoid making any necessary concessions of their own. His point once more was how Obama’s anti-Israel approach, if left unmodified, was doomed to fail. In fact, when Netanyahu did subsequently agree to a ten month moratorium on all settlement construction, Abbas refused to restart negotiations until two weeks before the moratorium’s end, persisted in offering no concessions of his own, and demanded an extension of the building freeze as a pre-condition to continuing negotiations. Diehl was, of course, proved right in his criticism of Obama’s strategy. This tack is consistent with what had always been Yasser Arafat’s intent. Arafat was never going to sign an “end-of-conflict” agreement, and neither will his long-time friend and ally Abbas. It was because such an agreement was demanded of them in return for the far-reaching Israeli territorial concessions offered by Ehud Barak and Bill Clinton in 2000 and 2001 and by Ehud Olmert in 2008 that Arafat walked away from the former and Abbas from the latter. Arafat then launched his terror war and at the same time sought international recognition of “Palestine” without committing to a final status agreement and without closing the door to ongoing pursuit of Israel’s annihilation. Abbas is intent on following the same playbook. In the context of giving Secretary of State Kerry his requested nine months to solve the conflict, Abbas agreed to forego returning to the UN last fall to seek additional trappings of nationhood there. But he is clearly determined to continue avoiding concessions to, and an end-of-conflict agreement with, Israel, and instead to seek international recognition of statehood in all of the West Bank and Gaza and the freedom to use those territories for pursuing Israel’s destruction. President Obama, in his Jeffrey Goldberg interview, has now essentially legitimized the Arafat strategy. Abbas, Obama insists, is committed to an agreement with Israel. The problem is the settlements built in support of Israeli claims to areas of the West Bank and eastern Jerusalem. If Israel fails to meet Palestinian demands, Obama continues, it is hard to see how the United States can go on protecting Israel from anti-Israel measures taken by, for example, the United Nations and the European Union. But when it counted, during the interview, Goldberg did not challenge Obama on his threat. Nor did he raise the issue of Israel’s legitimate security concerns and its right to claim in negotiations strategic areas of the West Bank, as acknowledged, for example, in UN Security Council Resolution 242. Nor did he refer to the Palestinians’ continuing refusal to recognize Israel’s legitimacy within any borders, or their indoctrinating their children to wage war on Israel until it is annihilated. No; he essentially let Obama’s biased attack on Israel and apologetics for the Palestinians stand unchallenged. There are many more Jeffrey Goldbergs than Jackson Diehls among Middle East commentators inside the Beltway. Their obsequiousness to Obama and to his hostility vis-a-vis Israel helps assure that, in the administration’s remaining three years, the Jewish state will endure additional besiegement and the prospect for genuine peace will only recede further. Two months ago, on November 5, Secretary of State Kerry attended a ceremony in Tel Aviv marking the eighteenth anniversary of Yitzhak Rabin’s assassination. Kerry lauded Rabin as "a great man of peace," praised Rabin’s efforts to resolve Israel’s conflict with the Palestinians, and urged rededication to Rabin’s vision. According to the media, aspects of likely proposals by Kerry include, at most, a time-limited Israeli presence in the Jordan Valley and, in general, fall far short of the areas cited by Rabin as vital to Israel. Some media reports even claim that Ambassador Martin Indyk and others working under Kerry have been trying to persuade former and present Israeli security officials to issue public statements downplaying Israel’s need for defensible borders.